Over the years we’ve spent a great deal of time investigating why malls die. We’ve found a great number of reasons, and one of the most popular of these has been competition. We hate to sound general, but it’s happened all over the place, and probably close to you too. The newer, shinier mall (replace ‘mall’ with ‘Lifestyle Center’ or ‘Big Box Power Center’ or whatever, same difference) becomes instantly popular and leaves the smaller, older center by the wayside. 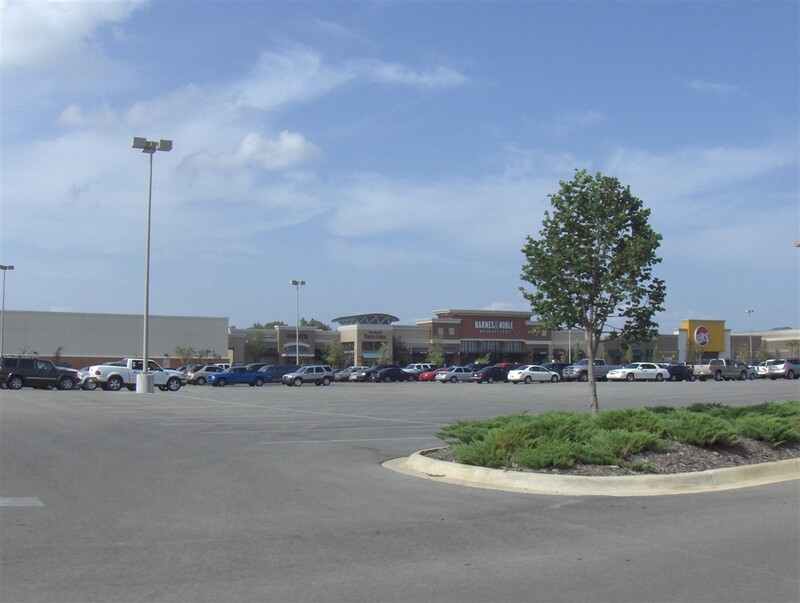 However, this process usually takes a while, typically at least several years if not longer before total dominance is shifted from one retail center/area to another, and the losing mall finally gives up and meets Mr. Bulldozer. However, that’s not necessarily the case here. What we’re about to investigate is rather unique, in that the dominance of one center shifted to another instantaneously; as one shiny new mall opened, the older, smaller mall was immediately abandoned, seemingly overnight. First, a bit about the area. With just about 60,000 residents and over 150,000 in the metropolitan area, Jonesboro, Arkansas is the regional anchor city for the northeast part of the state. Jonesboro is, however, culturally and economically linked to the larger metropolis of Memphis, Tennessee, about 70 miles to the south. That said, Jonesboro does enjoy a degree of autonomy, being the seat of local government as well as for having Arkansas State University, and being a regional center for agriculture and trade. 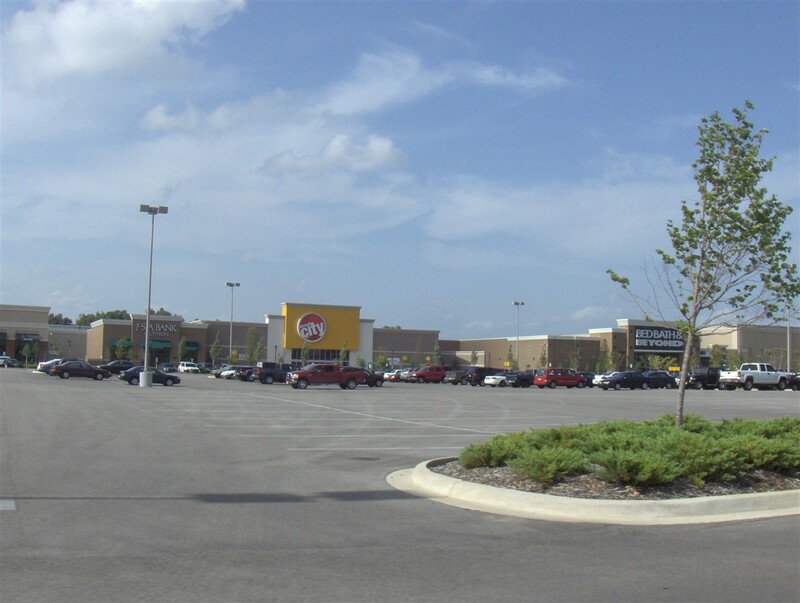 Most of the typical Big Box strip malls, chain restaurants, and businesses in general in Jonesboro are located in the southeast part of town along Highland Dr, S. Caraway Rd., and Stadium Blvd. Indian Mall, named after the University mascot, is located in this area, and opened here in the late 1960s featuring Blass, TG&Y, Sears, and a supermarket. 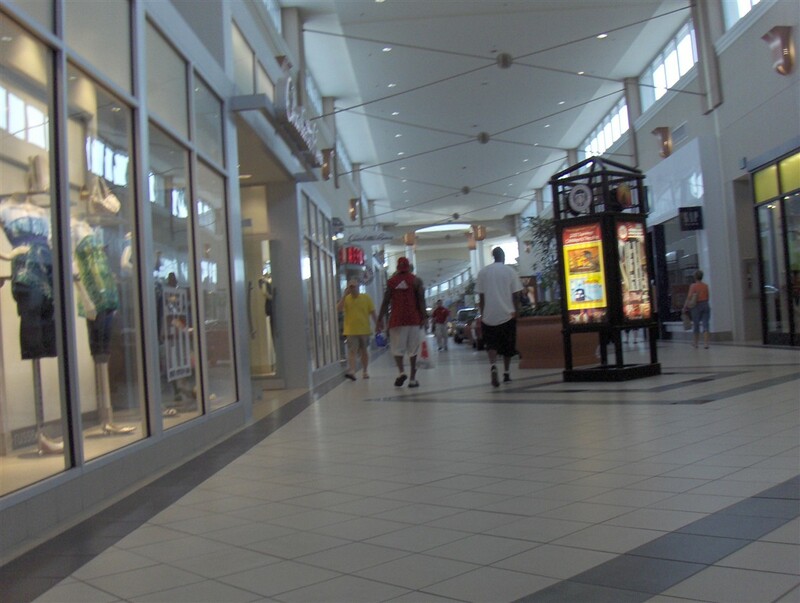 By the mid-1990s, Jonesboro’s population had doubled since the 1960s debut of Indian Mall and, as the commercial center of all of Northeast Arkansas, could definitely support a larger and more modern mall. The small Indian Mall chugged along into the 1990s, when its owner, Warmack & Company, proposed building a new mall just to the east of Indian Mall along Highland Dr. at Stadium Blvd. Under the plans, Indian Mall was to have been changed into a Big Box or mixed-use retail center. The new mall even got a name, Southern Hills Mall, and land was set aside for the development. 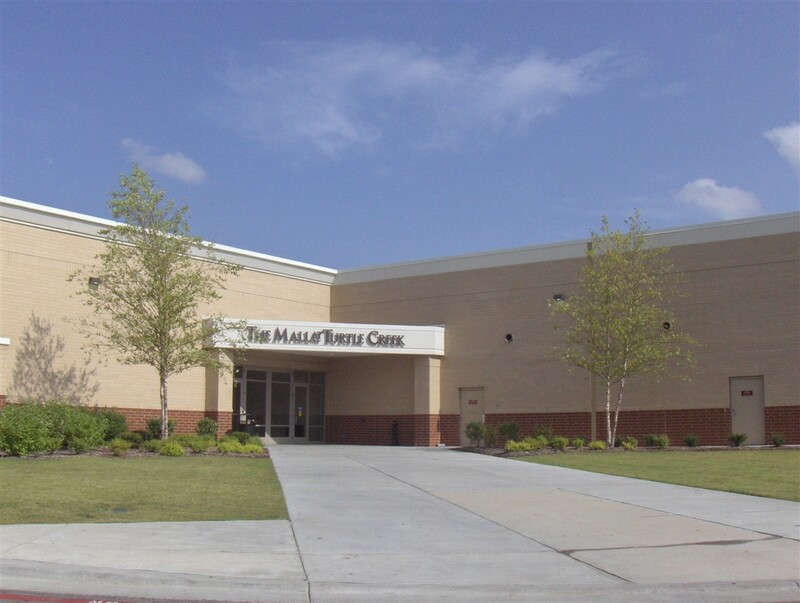 Unfortunately, though, due to a myriad of reasons it never materialized, and a competing mall developer stepped in to take the reigns and build Jonesboro a new center. David Hocker & Associates was the competing developer’s name, and offered up plans which did materialize in 2006 in the form of The Mall at Turtle Creek. The new 750,000 square-foot center opened then, and took with it most of Indian Mall’s stores. JCPenney and Dillards had brand new digs there, and almost overnight many of Indian Mall’s remaining in-line stores seemingly packed up and moved down the street. Almost immediately, Indian Mall was left completely vacant, except for Sears and Dillard’s Clearance Center. 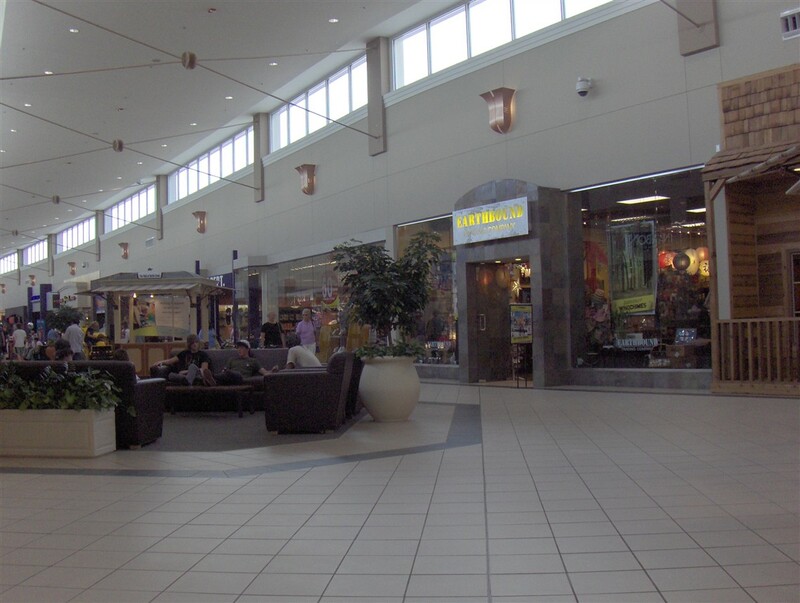 Turtle Creek also holds the distinction of being the only enclosed mall to open in all of 2006 nationwide, showing that enclosed centers are fast falling out of fashion to be replaced by ‘Lifestyle’ and Big Box-anchored power centers. But as far as new mall construction, Turtle Creek isn’t half bad. 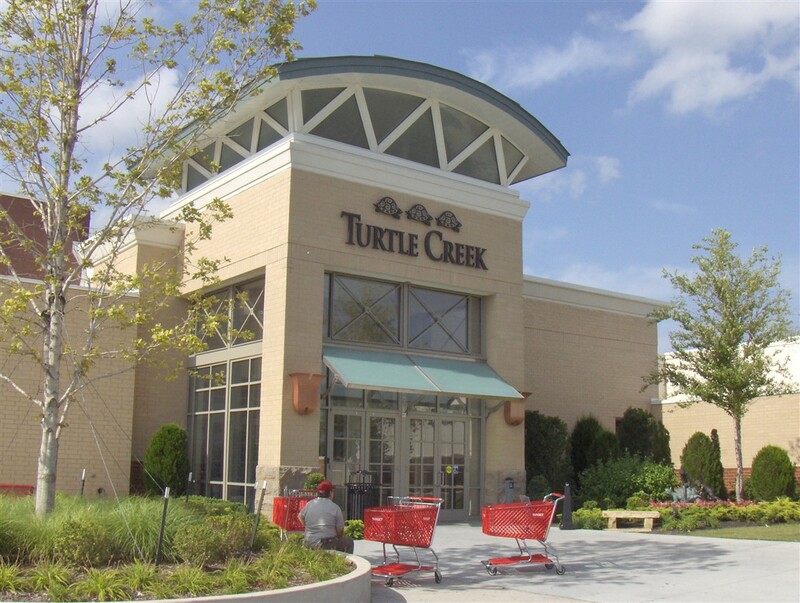 Turtle Creek is actually designed to woo Lifestyle and Big Box center shoppers. By placing restaurants and junior anchors toward the front of the mall, and having the main corridor wrap around behind it, the mall has more functionality and efficiency, which is what draws shoppers to the Lifestyle and power centers. 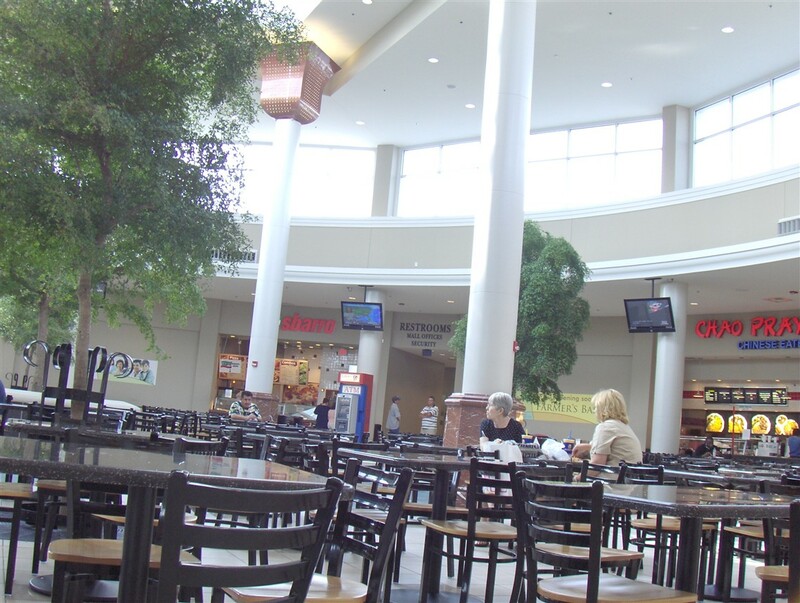 In addition, there are more attractive common areas in front of the mall for sitting cafe-style in front of restaurants. 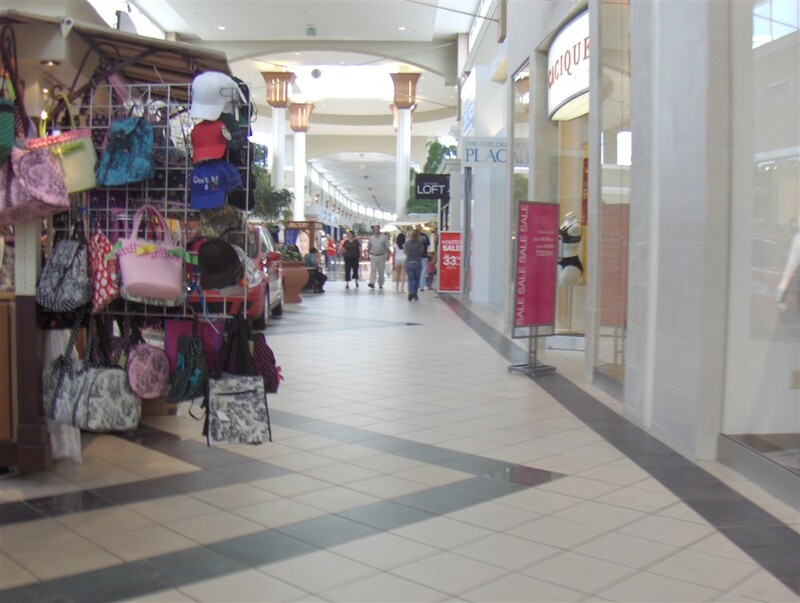 The mall’s interior corridor is also offset to be a slight curve rather than a squared-off straight shot between the two abutting anchors, making the mall appear slightly longer than it is. All of these design features are attempts at catering to the modern shopper, who demands aesthetic conveniences. So, because Indian Mall’s owner’s plans fell through, this mall got built in virtually the same location and Indian Mall now sits empty. The pictures here were taken in June 2007. Also, don’t forget to check out Indian Mall, the mall this one outmoded. So, The Mall at blah blah is doing okay? Looking at the pictures I’m not entirely sure. I love the design of the mall, complete with curve. I, for one, will always mourn the loss of an enclosed mall. I agree with Scott. I will miss enclosed malls. I have been to this mall recently and will actually be back this week. Hopefully, Mall at Turtle Creek shows developers that the idea of an enclosed mall is not dead. This is not the big white elephant on the edge of town, but a pleasant, attractive, easily accessible mall that should do well in this area. I see that you were there before July as some of the vacant spaces outside Dillards have now opened. I know that there is now a Select Comfort on the corner leading toward Shorty Smalls. My only concern with the Mall at Turtle Creek is its lack of dining options. 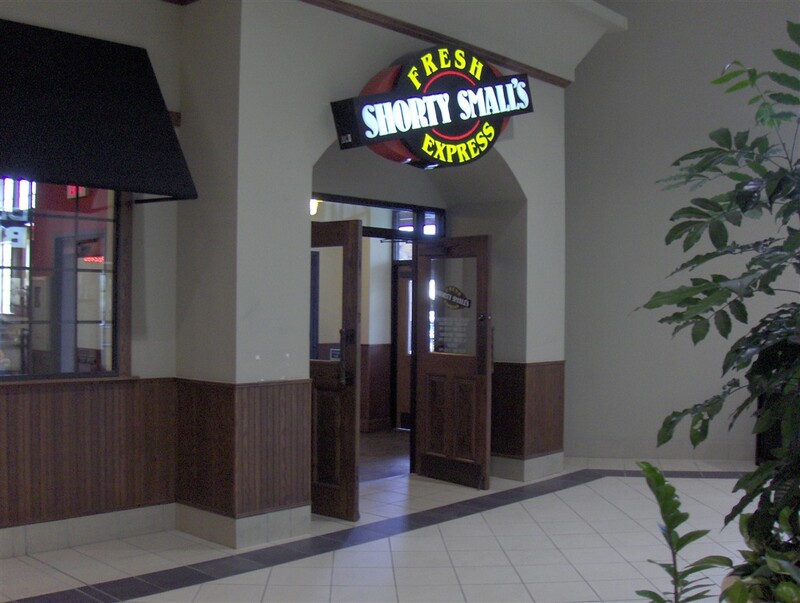 You have a choice between Food Court and Smalls. Chilis and Chick fil A are on the outparcels, but that’s it. Hopefully, more dining choices develop in the area. @Dave, well lets be glad that the indian mall will begin reconstruction soon into becoming an outside mall. I have already seen the blueprint of the design and it will help the crowd of turtle creek so much more. puls the fact that olive garden will be opening soon beside chilis. Even before lifestyle centers, mall construction had become very slow, by the mid-90s. 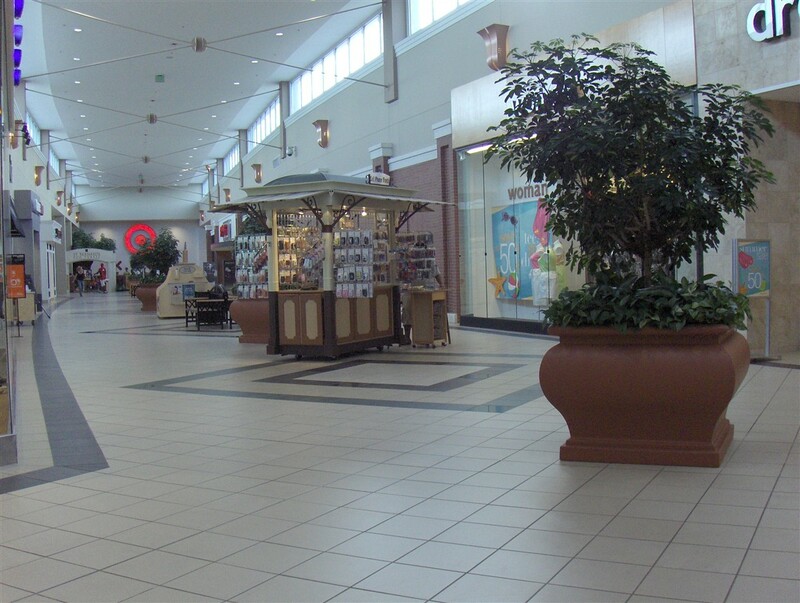 Malls were visibly dying and even many growing, economically healthy metros like the DC area had become too wxoensive. Significantly, the one area with a lot of new mall construction is Atlanta, which is filled with dead and dying malls and a good example of why new malls are bad for local economies. There will always be some enclosed malls–relatively upscale, super-regionals seem destined to survive, although even some of them like Tyson’s Corner wind up with vacancies. The rate of retail construction outpaced population growth from the 70s to the present. The Darwinian decline of many malls–relative expensive, inflexible pieces of real estate was a foregone conclusion. Anyway I think this mall looks really nice and modern. The anchor stores seem strong and it’s near a college so it can be a success. Eastern Shore Centre, in suburban Spanish Fort just outside Mobile, AL, has a rather high vacancy rate for a lifestyle center. The problem with this particular shopping center probably stems from the fact that local merchants, such as clothier Ocean Eddie’s and Bark Avenue Pets, can’t really handle the lease rates like the national retailers can. Another concern is the lack of disinterest from other local and regional merchants who decide to locate their first locations in the market elsewhere in South Alabama. 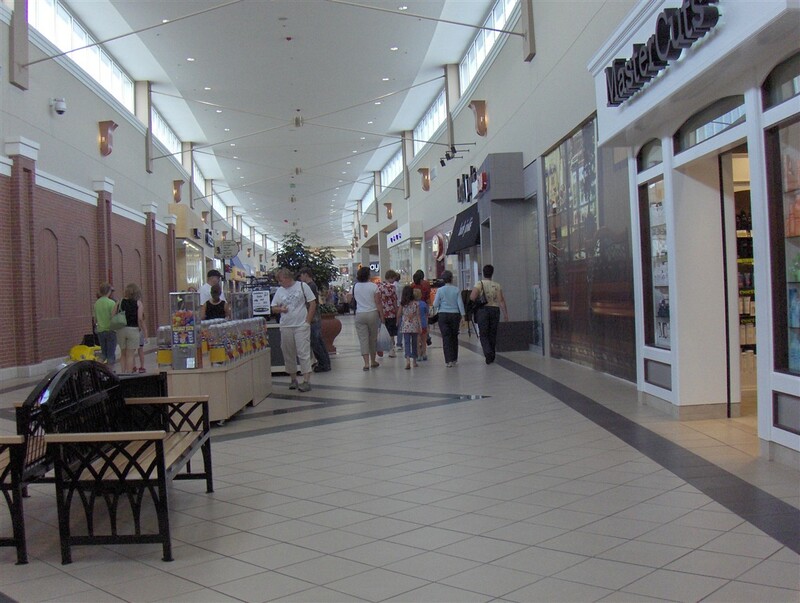 As a result, one walking around Eastern Shore Centre encounters numerous unleased retail spaces and abandoned storefronts. This mall is probably the best example of how a mall would be built today if there no “lifestyle” centers(I hate that word! ), or very few, like only in really big cities and metropolitan areas. The hanging signage is a very nice touch. The interior of this mall kind of reminds me of the Mall Of Louisiana in Baton Rouge, Louisiana. The marble floors, the big potted plants and kiosks throughout the consourse, the all white interior with skylights everywhere, making it seem so bright and airy is almost the same feel you get in Mall of LA. Mall of LA is of 1.3 million square foot super regional, 2 level, 5 anchor mall that was open in the fall of 1997. It is a galleria style mall with a huge skylight in the middle, with a carousel and food court underneath the skylight. 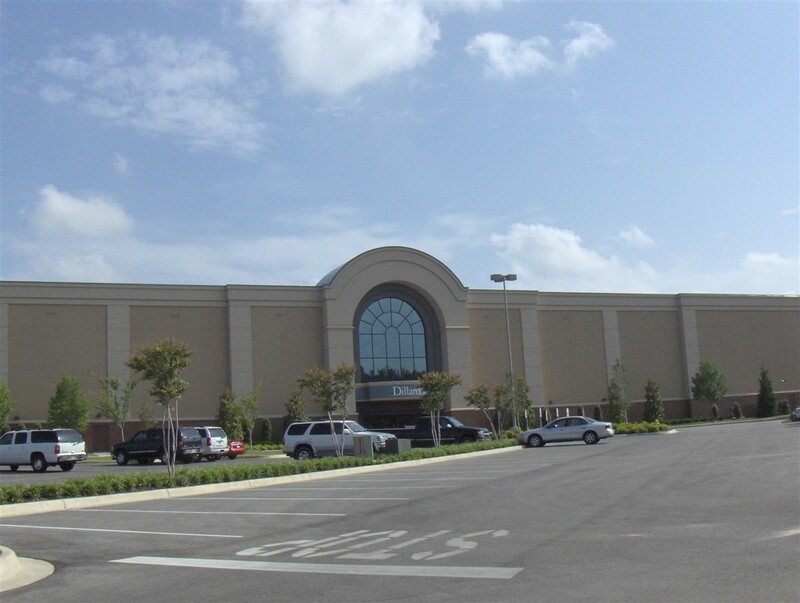 Develeped by Jim Wilson and Associtates (later sold to General Growth Properties), it is modeled after there Riverchase Galleria in Hoover AL and is now 10 years old, but probably is another good example of how super regional mall would look if it was built in 2007. I say that because of how quickly I thought of the Mall of LA with one look at the Mall at Turtle Creek. Of course, Mall Of La is falling victim to lifestyle craze with the 2005 opening of Town Center at Cedar Lodge in an affluent part of Baton Rouge, because GGP is half way through with a 177,000 square foot open-air(another word I am starting to dislike) expansion project added at the main entrance of the mall. It will add about 25 new tenants. 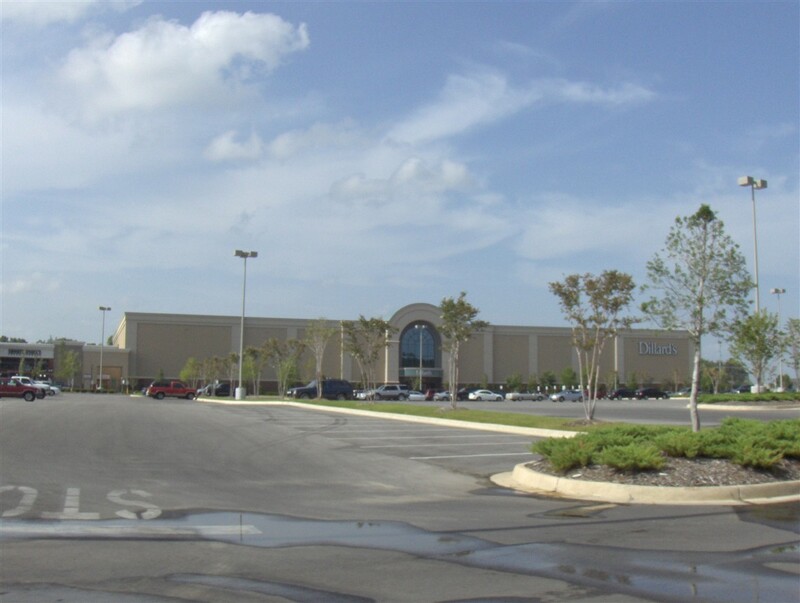 Many of the mall tenants that typically open in open air centers, like Jos A Bank(you notice it is on the open air part of turtle creek), Williams-Sonoma and Sharper Image, and already have stores in Mall of Louisiana, have already reserved spots in the new addition. And this new addition will probably birng some new restaurants and retailers to the BR market. This expansion is probably part of GGP’s plan to keep the tenants I mention above, and other similiar tenants from leaving the propery altogether to locate at an open air center. But the designers of Turtle Creek sort of fused a little open air type center into this mall, and done it quite attractively too. The way the junior anchors are fused in is brilliant. The clean, simple, slightly curved line layout is another similarity to the Mall of LA, because despite its mammoth size, you can get from one end to the other end fairly quickly. I am just thinking that in the near or distance future, they may end up adding a small open air addition, even if to add a few more restaurants, perhaps more upscale restaurants that would be new to the Jonesboro market, since a previous post had mention the lack of dining options. But this is a beautiful mall. And I think this kind of mall would be successful in so many markets, especially the smaller ones like Jonesboro, if every developer was not so quick to jump on the lifestyle bandwagon and give more malls like this a chance to be built. I sure have to wonder a little bit myself too, if the lifestyle center trend wasn’t such a big thing, if the new ‘lifestyle’ centers that are popping up everywhere would look like this as a mall, if they were built as such instead. My ranting aside, I really like Turtle Creek. It’s just too bad, say, that such a mall had to be built in such a small market as the Jonesboro(AR) area, which in effect, totally killed off Indian Mall overnight. I also suspect too that even if this mall theoretically had be built on the total other side of town(and NOT a mile away from Indian), that Indian probably still would’ve been killed off, anyway. 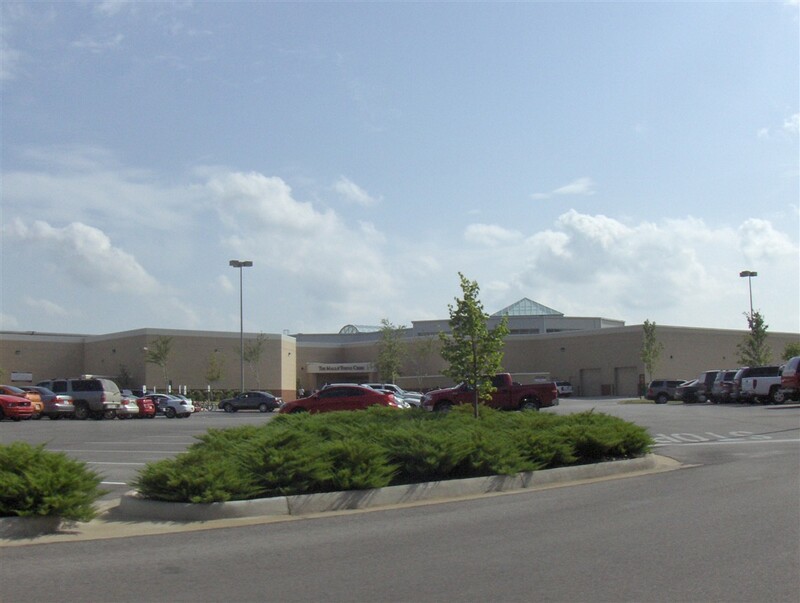 The market doesn’t seem that big to (theoretically) support 2 malls, but then again, I was totally wrong when I made my post on American Mall in Lima, OH(suspecting that 2 malls couldn’t survive in that particular market), so what do I know about what the Jonesboro, Ark. market can theoretically support, or not? Re: American Mall in Lima. Thrive and survive are two different things. American Mall is teetering on extinction and is in all definitions a ‘dead mall’ – Lima cannot support two malls. And yes, this would have killed off any mall in the area, no matter where it was built. One thing I noticed about this mall is that the food court is pretty sparse. Why can’t they get a Panda Express or Stir Fry 88 or Taco Bell in there? If only they built out malls like this. I know this has been repeated a couple times already, but this is the near-perfect fusion between big-box retail, traditional mall, and ‘lifestyle center’ (I too, find this term grating to the ears and eyes). The frontage has architectural elements of the outdoor lifestyle malls, and is not just a whitewash wall with a few ‘mall entrances’ dotting it. All the ‘major’ big box tenants facing the main road, and there’s still an enclosed mall behind everything. Notice the skylights run the perimeters of the concourse, not on the rooftop. This is clearly a throwback to the 1960s-1970s era of enclosed malls. I noticed in the 1980s and 1990s, many malls built during that span of time mostly featured skylights that are directly on the roof, letting light down into the concourses. In this older/retro way of letting in natural light, it has more of a diffused effect, plus light isn’t being cast directly down into the concourse, creating that ‘one moment in total darkness, the next, blinded by the light’ effect. 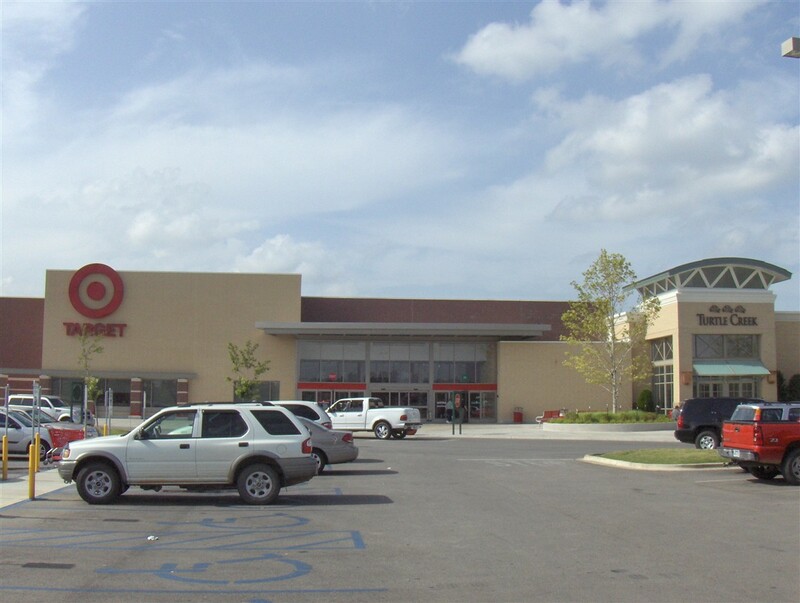 Target has increasingly been building stores like that. I believe this is also their current prototype for how their stores look, too. I know for certain, they renovated an 90s-look Target out in the Chicago suburbs that I often go to into this new look around 2005. They also had just started to renovate another Target into this look that was located in Evanston, IL, about a year ago(I think the renovation of this store is now finished, but I haven’t been to this store at all since last year, so I dunno how it looks as of now). Also, the only reason I posted about American Mall, is that it USED to be a thriving mall. And also, since someone cited to labelscar a previous report in 1992(and posted this on the American Mall entry), stating that Lima, OH, was a really big spending small market around that time. I am definately aware that American Mall is dying, nowadays(and that most likely, it’ll probably get turned into a bland-looking strip mall at some point, with the possibility that Value City may or may not desire building a totally new store in Lima, at some point). After further review of these pictures, the fourth picture from the top that appears to be the center court, looks almost exaclty the center court in Mall of Louisiana in Baton Rouge. The tall pillars and marble floor in the picture look almost exactly the same as the center court that is underneath the huge galleria skylight. I know I keep bringing up the Mall of LA, but the similiarities to Turlte Creek are striking, at least from this set of photos. 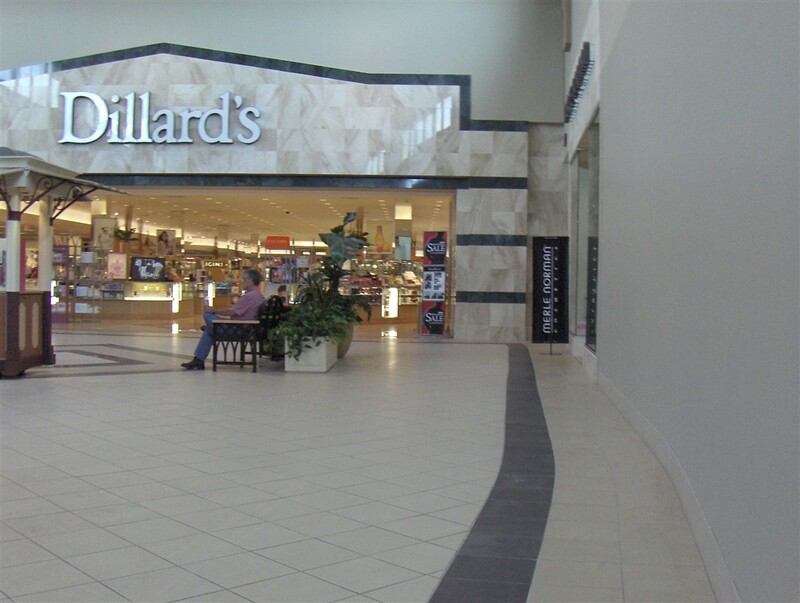 The Dillards mall entrance looks a little banal. 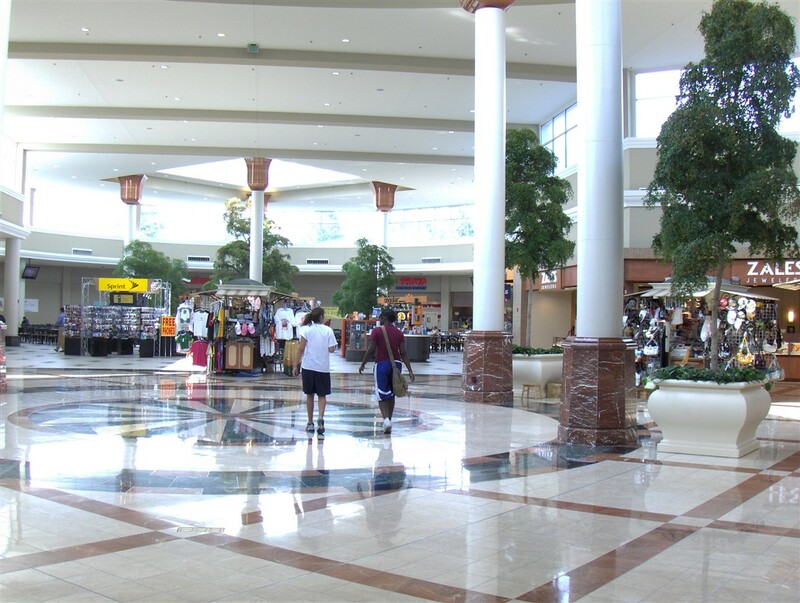 The Mall at Turtle Creek will remain successful for many years to come. You must remember that there is NO major retail center to the west (Little Rock or Springfield, MO) or north (Cape Girardeau, MO) for many, many miles. Also remember that while Memphis is only 70 miles away, the major, modern retail centers there are in the far west (Wolfchase Galleria and Oak Court Mall) and south (Avenue Carriage Crossing and Southaven Town Center) extremities of the Greater Memphis area. Is this what malls are to become? 80% big box anchors? We need new department stores! It’ll be hard to fill that void. People seem to forget that even in the 1960s-1970s, the literal ‘heydays’ of the enclosed mall, I would say Woolworths and your various supermarkets and pharmacies were sort of the past equivalent to today’s ‘big box’ anchors. Many locations were 10,000-20,000 sq ft in size. Also remember with most malls back then, you almost always had Sears (or Wards), JCPenney and (more often than not) a local or regional department store banner, and / or a discount store as anchors. It doesn’t help when both Penney and Sears want off-mall locations more or less these days, and discounters have wanted nothing to do with enclosed malls for over 20 years. In the case of ‘traditional’ department stores, it’s all huge chains now, and what they have (in location count) is all we’re going to get for now. Add to all this, you have seperate ‘large’ stores for various categories. FInally let’s not forget the medium Labelscar.com is on here….the WWW. Internet shopping has had proufound effects on traditional retailing. If this is the only enclosed mall built from the ground up as a brand new mall that opened in 2006, was there any that opened in 2007 that fit that description? The year is almost over and I have not read or heard about any new enclosed mall being opened this year, but have read about many grand openings of “outdoor” lifestyle, mixed use centers. And I mean a brand new mall, that was an indoor mall from beginning planning stages all the way to the grand opening day. not an addition and/or renovation similiar to the Natick Collection. Will there ever be another new traditional indoor mall like this one? I think that there will be one day, but it may not be for many years to come. Anybody has some thoughts about it? Dunno…mall production had slowed significantly in the 90s, and neither Simon or GGP have enclosed malls in the works. 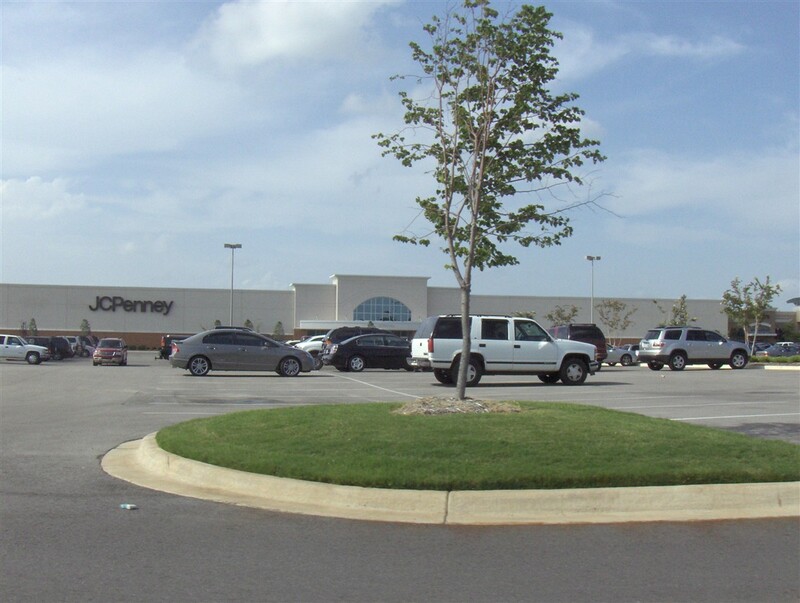 The Mall at Turtle Creek is a beautiful facility with many long-awaited wonderful stores we had dreamed about having in Jonesboro for years and years. In the summer, it gets really hot and humid in the South with lots of mosquitoes. So, we are so grateful for this modern climate-controlled shopping experience. The pictures above must have been taken at a very off-time of day, because that place is packed nearly 24/7. I have trouble finding a place to park most of the time. 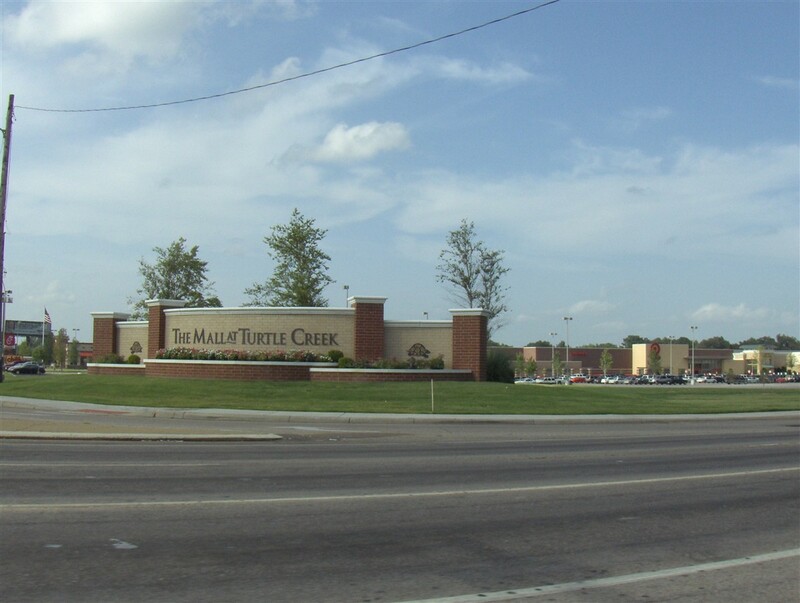 The Mall at Turtle Creek is the largest source of revenue for the city of Jonesboro and Craighead county. A recent newspaper article stated that the developers are totally surprised at the geographic reach of this new center, far better than projected. People from West Memphis, Arkansas, are driving 60 miles to shop at the Mall at Turtle Creek rather than simply driving over the Mississippi River into Memphis, Tennessee, to shop. That’s good news for our community and the Mall at Turtle Creek. Thank you for doing a wonderful article with great pictures on our city’s two malls. Your website is great! No, that one is different than their prototype stores. Real ones can be seen at the new Big Box Center on Route 1 in South Brunswick, NJ, and at the Wegmans Center in Mechanicsburg, PA. That look quite awesome. Pseudo-movie posters + the new logo statues, red balls, are really cool. This Mall is horrible. The center corridors are too narrow to accommodate medium to heavy traffic. On Saturday or during the peak Back to School and Holiday seasons, you can’t even get out of a store into the main stream. The harsh floors and walls make for a buzz even in slow times. Noise is ridiculous. Parking is ridiculous. The food court is horrible; you have to leave the mall and fight traffic on your lunch break because the choices are so limited. The people that shop here are beyond rude. I just wish we had stuck with Indian Mall. Even though it was MUCH smaller, the acoustics and ambiance of the place was 1000% better. And all those bootheel folks (Southeast Missouri for those from outside the area) get on my freaking nerves. Go back to Cape or Springfield…we don’t like you! In response to Angry Mall Worker, The desired effect of any mall or retail store is to be too full, too loud, too crowded. That means the retail outlet and or store is MAKING money. 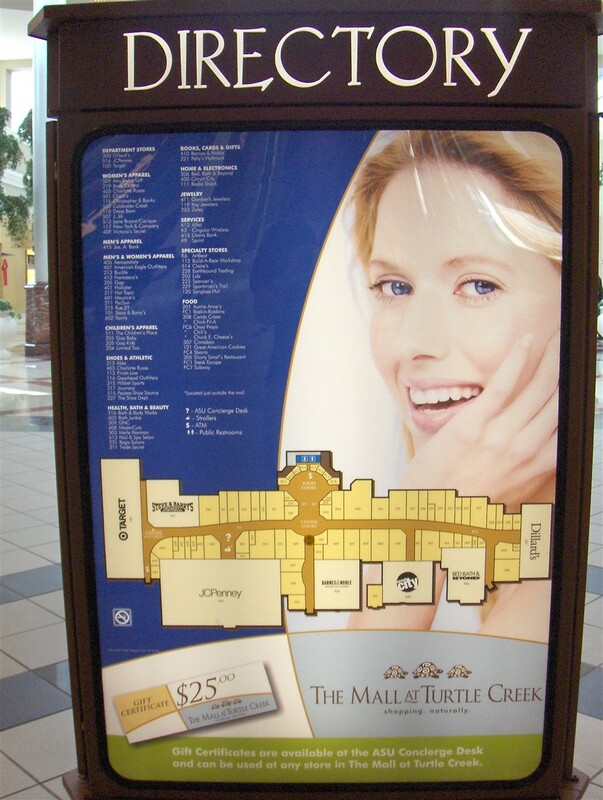 As for Turtle Creek being too small, how many oversized mall corridors have you ever seen? Not many. 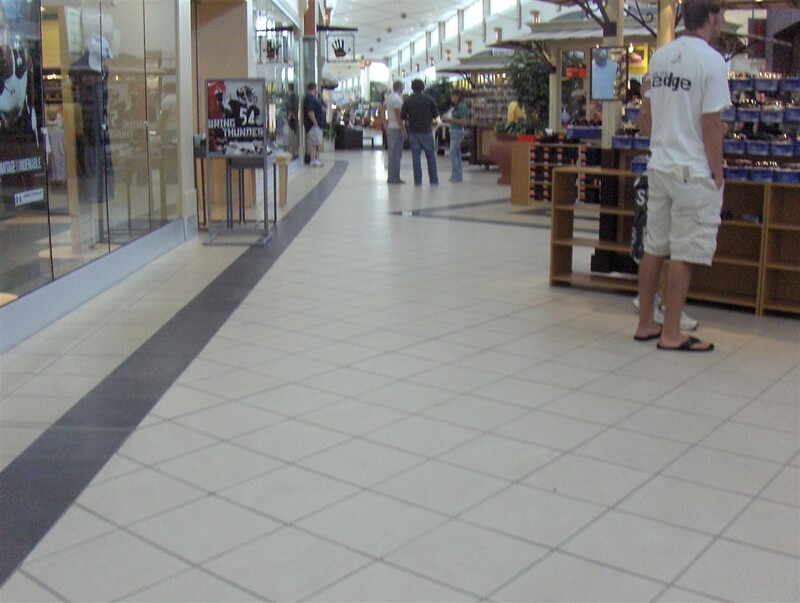 The mall is so very long that it helps make up for its narrow hall at any rate. As for lack of food outlets, as someone who worked at Indian Mall in my college years I must say you are luckier than you realize. Our options were Wyatt’s (until Indian Mall ran them out) Corn Dog 7 and a few unappetizing, ever changing other little places. You have a few clean, decent options in the food court, Shorty Smalls in the mall facility, Pizza, Chick-Fil-A and Chili’s on the mall property, not to mention food options directly across the street that include barbeque and asian. That is a sight more than we had at Indian Mall. Limiting what stores open in the food court by being selective has enabled the mall to keep the food court from becoming a teenage hang-out, thus detering people from wanting to be there as is the case in so many malls across the nation. Over time the mall will surely have new food options, it takes time to find the right fit, not only for the space but for what poeple want. As for parking, its the same as anywhere, if someone feels they can’t park within a foot of the door, they complain there is no parking. At the height of Christmas on a Saturday I observed many open spots to park, they were far out but they were there. I can recall The Warmack Co. forcing all mall employees to park across the street from Indian Mall at Christmas because there WERE NOT enough spots to accomodate the malll workers and the customers. As for telling people to stay away because you don’t like them, you are in retail, get used to serving people you don’t like, thats the name of the game. How you feel about them doesn’t matter, getting them to buy and stimulate our local economy does. You want them to stay home? Then get ready to lose your job. If small community people shop in their small areas and not ours we will lose money and jobs. We are a regional retail hub and you need to make sure that you welcome every person and their dollars into your store and into our town, it keeps us prosperous and our town growing. Watching the demise of Turtle Creek Mall may be even faster than the demise of Indian Mall. As of yesterday there were 11 vacant stores in Turtle Creek. Sub-anchors Circuit City and Steve & Barry’s are both vacant as a result of bankruptcies. There are also five other vacant stores and four vacant spots in the food court. The number of “this space for lease” signs was disturbing. If anyone thinks that Bruce Burrow will be developing the Shops at Caraland anytime soon, I have a big bridge you may be interested in buying. The vacancies are very low; besides Steve & Barry’s and Circuit City I count only six mainline vacancies (that food court seriously needs more restaurants, though; it has four vacant slots out of eight). The website says Best Buy is coming soon, no doubt in the old Circuit City. 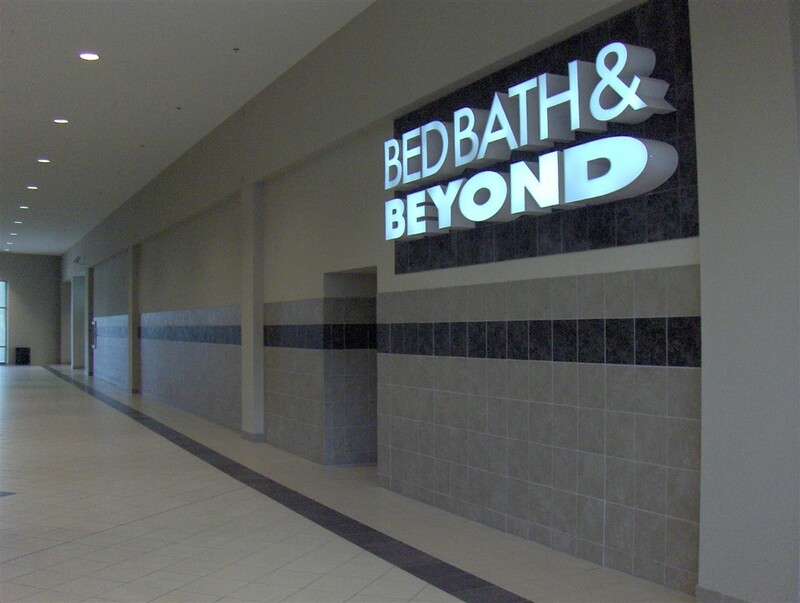 Very boring mall, everything’s run of the mill for the time it was built, the bathroom quality floor and narrow corridors are enough reason not to shop there. I grew up in Jonesboro, and no matter how many or what kind of new stores the turtle Creek Mall has i will always miss my teenage stomping ground that was Indian Mall. Don’t get me wrong it has been great for the economy over there, but what happened to just building onto the Indian? I mean so many things that were great about that mall are now history and what a shame. I have to say that I don’t care much for Turtle Creek either. The shops are mostly small, expensive boutiques. The food court has improved, though. I’d like to see a Kirkland’s or some sort of home furnishings – I said Kirkland’s because it has reasonably priced merchandise.